Doctor Strange has just come out to both glowing reviews, (90 % rotten tomatoes score,) and also tremendous audience reaction and box office. The movie made 85 million in it’s opening weekend, which is a pretty major success. And at this point, it’s safe to say that Marvel can do no wrong. With the superhero movie genre being the biggest game in town, there’s no question that Marvel is the best studio making these films. And they often do it with little known characters. So whereas DC is making movies that feature Batman, Superman, and Wonder Woman, all in one movie (and turning out a dud as a result,) Marvel tends to make films that star characters like Ant Man or Doctor Strange. And these movies turn out to be great. So how do they do it? And what led them to this point of having one mega hit after another? For the answers to these questions, we will jump back in time to about a decade ago, when all of this began. It all started with Iron Man in 2008. That movie came out in May. It was a huge hit, but also a fantastic movie. Robert Downey Jr. was perfectly cast in the role of Tony Stark. The origin story element, including Stark trying out multiple versions of the Iron suit, was great. So was the humor. It was colorful and energetic and fun, (basically all of the things Batman V Superman wasn’t.) This was the perfect start to the Marvel Cinematic Universe. But not all Marvel stories are success stories. In July of that very same year, just two months after the release of Iron Man, we got The Incredible Hulk with Edward Norton, and it was a mess. The movie just felt flat and tiresome. Norton was not a good fit. This was a superhero that had been done time and again, made and remade more than nearly any other superhero. (Tied with Superman and Spider Man, only Batman has been remade more often.) Marvel recognized right then and there that the Hulk just could not carry his own film. He’s an amazing side character (the highlight of the first Avengers movie,) but on his own, there’s nobody to work the humor angle. Norton was recast, (what a great decision,) and Mark Ruffalo stepped in for future films. But it wasn’t until a number of years later that we got to see him take on The Hulk. Now, Marvel had to rethink their plan. Yes, they were still moving towards an Avengers film, as Sam Jackson’s Nick Fury announced at the end of the first Iron Man movie, but exactly how they were going to get there was suddenly not so clear. Hulk had not hit it big, the way Marvel had hoped. They took the next two years figuring things out. When they came back, in 2010, it was with Iron Man 2. The movie wasn’t great, but Marvel had enough coming up right behind it that it really didn’t matter. Iron Man 2 led to Thor which led to Captain America, and the wheel just kept on turning. Thor and Captain America: The First Avenger were both released in 2011. Thor came out in May. Captain America came out in July. It was the first summer to feature two Marvel films. Both movies were pretty good. Both felt incredibly different. Thor was pure sci-fi / fantasy. Captain America went for a historical element, setting it’s storyline in the heart of World War II. It was a great summer at the movies for Marvel. There would be many more to follow. In 2012, Marvel released it’s biggest movie yet. The Avengers. This was the first time anything like this had been done before, where giant, larger than life, superheroes, who had each headlined their own movies, now came together to share the screen for one film. It was pretty fantastic. But it was only one movie. That was completely intentional. 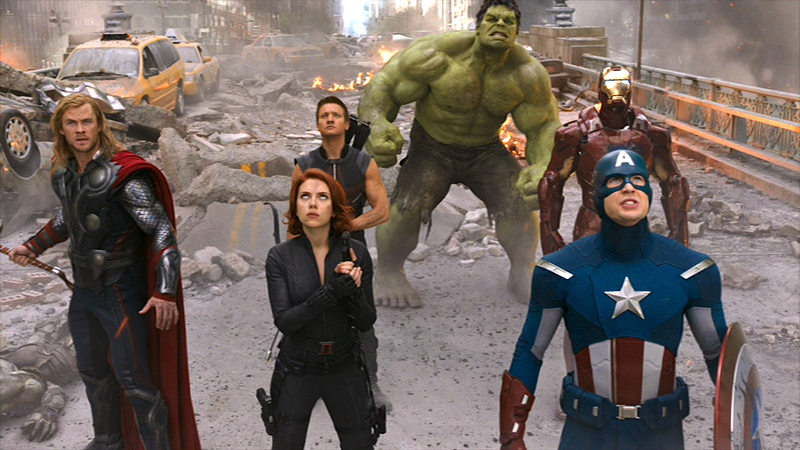 Marvel wanted the Avengers to be the hit of the summer that everyone kept talking about, all summer long. By not putting out another movie, they were making sure that they wouldn’t be the ones taking any momentum away from their film. It worked. 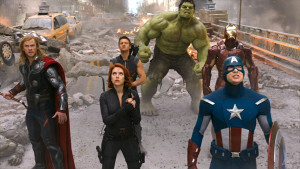 The Avengers hit so big, that this move ensured that 2012 would be the last year that Marvel released only one movie. 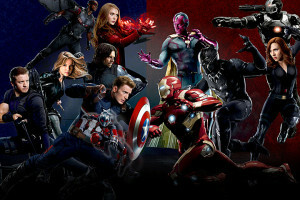 Starting the next year, with 2013, Marvel began their pattern of releasing two movies. That year, we were given Iron Man 3 in May and then Thor: The Dark World, in November. Two sequels. Iron Man 3 was pretty good. Thor: The Dark World was not. The November release date felt a little strange, and it didn’t help that Thor The Dark World was one of the lousier of the Marvel movies. Still, it did extremely well at the box office, (80 something million,) and so nobody batted an eye or cared that the movie wasn’t so good. Still, with three movies in a row being either sequels or featuring mostly familiar casts, (The Avengers, Iron Man 3, Thor: The Dark World,) Marvel needed to get back into the original characters business. It would happen soon. In the pipeline, they were working on Guardians of the Galaxy and Ant Man. If Marvel movies had mostly been good so far, with a few duds here and there, the next year, in 2014, would be when the studio took its game to the next level. We had two films released that year, both in the summertime, and both were fantastic. In May, we got Captain America: The Winter Soldier and it is what many consider to be the best superhero movie to this day. Then in August, we got Guardians of the Galaxy, the surprise hit that really proved Marvel could do no wrong. That was the movie where nobody had even really heard of the characters before. And it became this generation’s version of Star Wars, a massive space opera featuring both humor and colorful characters. The following year, in 2015, we again got two Marvel movies. There was the Avengers: Age of Ultron in May, and then Ant Man in July. With Ant Man, like Guardians, Marvel was really turning up the comedy and doing wonders with a hero who nobody would have ever imagined, could carry his own movie. And Ant Man, like most other Marvel movies, was great. Unfortunately, Avengers Age of Ultron was not. There were many gripes to be made about the movie, but for me, the one that rang most true was how terrible a villain Ultron was. As a completely computer generated creature, nothing about Ultron felt real, and he was barely menacing. Ultron made lots of threats, but he didn’t really execute on any of them, including what the movie led us to believe he did to Jarvis, (a voice robot.) Ultron couldn’t even kill Jarvis. That movie was a mess. Marvel made the smart move. They cut director Joss Whedon loose. When something or someone isn’t working, you take action. Marvel did it by sending Edward Norton packing, from his role as Hulk, and now by sending Whedon off to go on his way. If only DC would learn from Marvel and cut director Zack Snyder loose. The guy massively screwed up Batman V Superman, and the DC reaction was to hand him the reigns of Justice League. How stupid can they be? Marvel wasn’t done yet. After letting Joss Whedon go, they brought back the Russo Brothers (the guys who made Captain America: The Winter Soldier,) to be the new go to directors for the studio. They gave the Russo Brothers the next Captain America film, and in 2016, we got Captain America Civil War, which was basically another Avengers movie. Considering that the previous Avengers movie was lousy, this was like the apology letter. That was in May. Marvel let the other studios saturate the superhero playing field for the rest of the summer. And now, once the playing field has opened up again, Marvel has released Doctor Strange. And it is pretty great! So, how does Marvel do it? There are some pretty clear rules here. First, no more than two movies per year. Second, is something isn’t working, cut it loose. Fast. The second Whedon stunk up the screen with Age of Ultron, he was let go. No second chances. The same goes for Norton as Hulk. Finally, figure out a way to get the humor in every film. When a Hulk movie proved to not be able to feature humor, Hulk was no longer given his own films. We will see the character again in Thor: Ragnorak, a movie that basically pairs up Thor and the Hulk, so that the two of them can play off each other. This is Marvel once again being super smart. I look forward to seeing where they will go next. With a Guardians sequel coming out next year, and then that Thor-Hulk movie, it seems the studio has clear path of excellence laid out ahead of them. 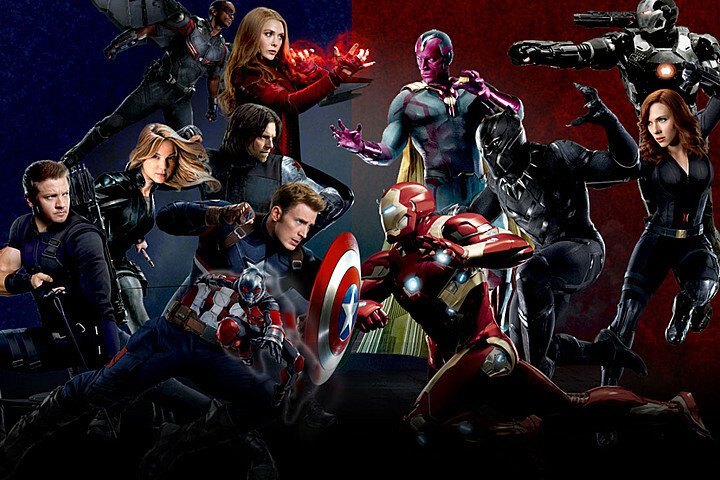 The Russo Brothers are directing the Avengers Infinity War, and between their two Captain America movies, they seem like an excellent fit. And then there’s the Black Panther movie, which is being directred by Ryan Coogler (Creed,) and a Captain Marvel movie, which has just cast Bree Larson (coming off her Oscar win for Room,) in the lead. Marvel continues to lock up talent and turn out smart and entertaining films. They have single handedly brought the superhero genre into the limelight, from being a fun time at the movies (The X Men Films,) to being the biggest and most popular type of film there is.